Black Is The New Yum: Have You Tried The Latest Charcoal Sandwich From Bread Story Yet? Charcoal seems to be the latest fad in literally every dish ever imagined! And this time, adding to the trend is a savoury cheesy delight, the charcoal sandwich from Bread Story at Viman Nagar. 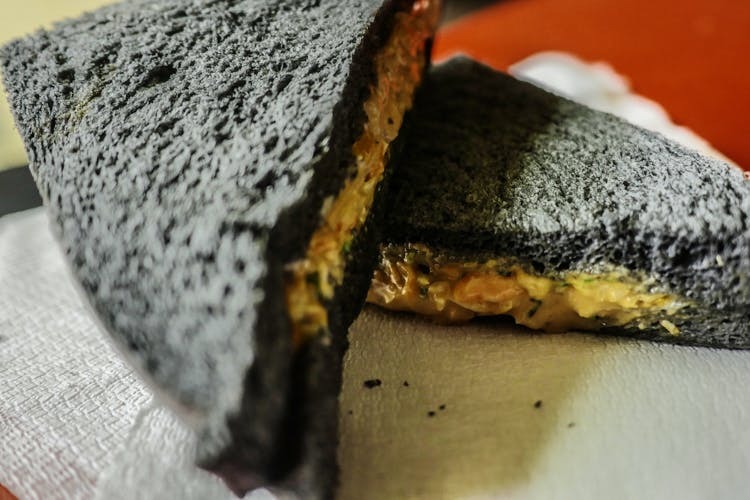 This latest addition on Bread Story’s menu – Charcoal sandwich is the new-found favorite of Puneites. Priced at INR 80, this sandwich is made of corn, spinach fillers, shredded carrots, butter and cheese. There is a non-vegetarian counterpart too, which is made of small chunks of chicken! Next time you’re at Viman Nagar and hungry, head to Bread Story and try the super-yum charcoal sandwich that has been making news so much.